Welcome to Roche Harbor Heights! This photo is taken from a path that follows the waters edge. It is a great view of the home's double decks. Welcome inside to a cozy living room. 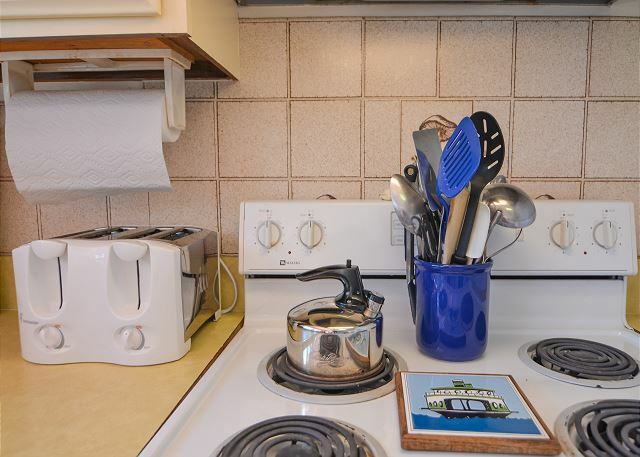 This sunny retro kitchen has all the modern conveniences. Have you ever done your dishes with a view like this? A close up view of the electric stove and cooking utensils. The living room area is great for enjoying a fire or simply reminiscing the wonderful day you had exploring the island. 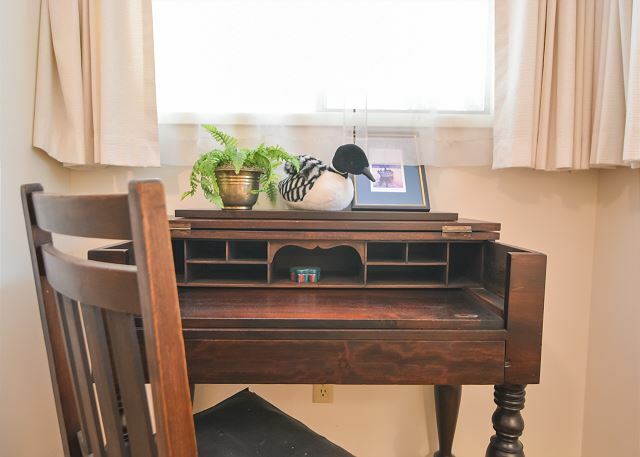 A spot to write a letter or catch up on a bit of work. Another view of the second bedroom. An overview of the bathroom showing off the beautiful tile work. 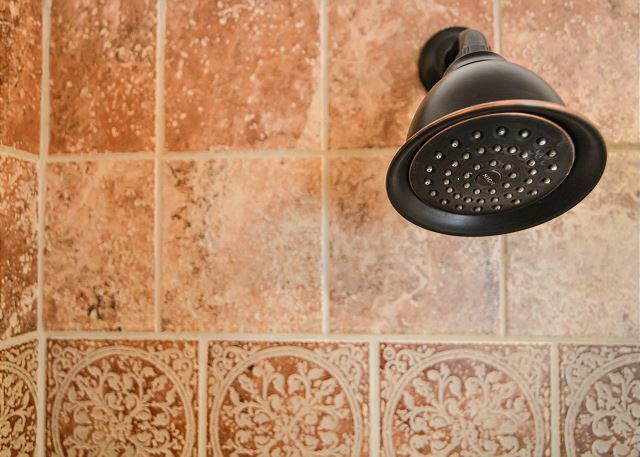 A close up view of the tile work and high quality shower head. The lower level living room is a great place to hang out. The competitive group will enjoy the pool table. Not a bad view either. Two single beds on the lower level. A close up view of a single bed. The covered deck off the lower level looks out over the grassy slopping hillside. 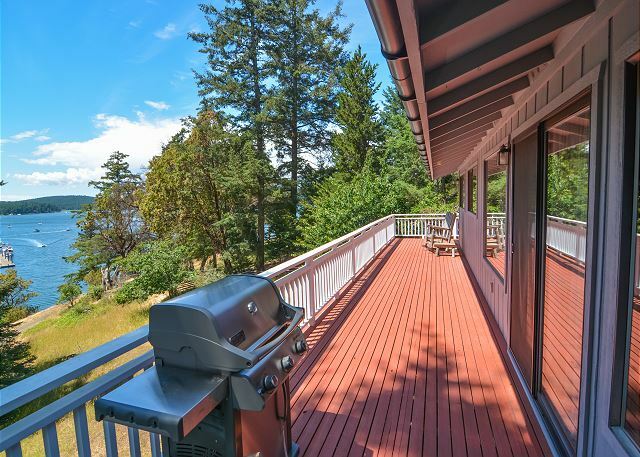 It is all about location in this spacious, two level vacation rental home with views of Roche Harbor Resort and Marina. 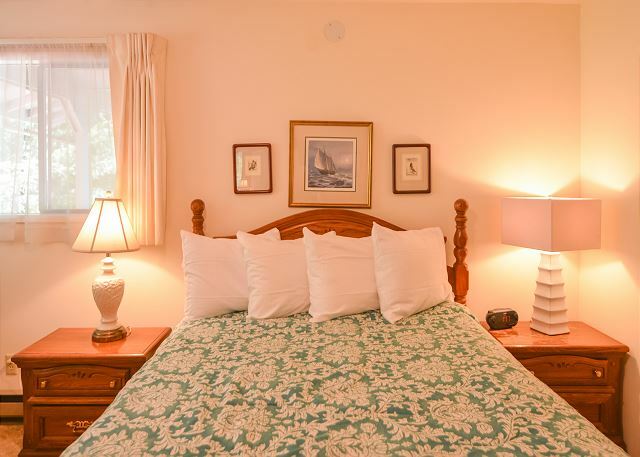 Just walk off the lower level deck onto a foot path by the shoreline that leads to the historic Resort to enjoy both fine and casual dining as well as the convenience of a grocery store, post office, moped rentals, marina, spa, kid's pool, and airstrip. The main level of the home contains an open kitchen, dining area, living room with wood burning fireplace, two bedrooms with queen-sized beds, and a shared bath with shower/tub. 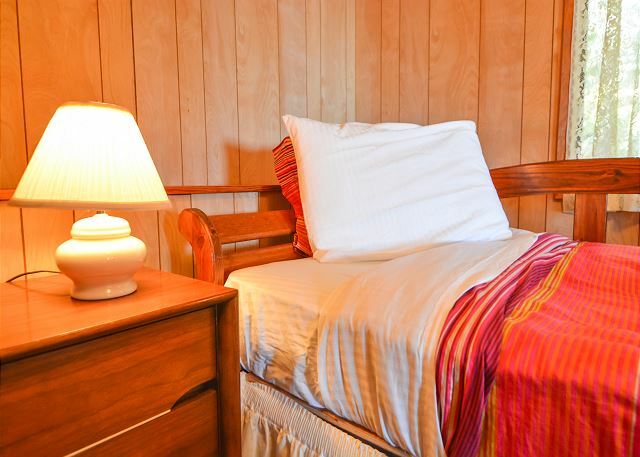 On the lower level you will find a rumpus room with a pool table, wood stove, piano, pull out queen sleeper sofa, and a third bedroom with two twin beds. There is also a sliding glass door leading to a covered exterior deck for viewing the boats and islands beyond. 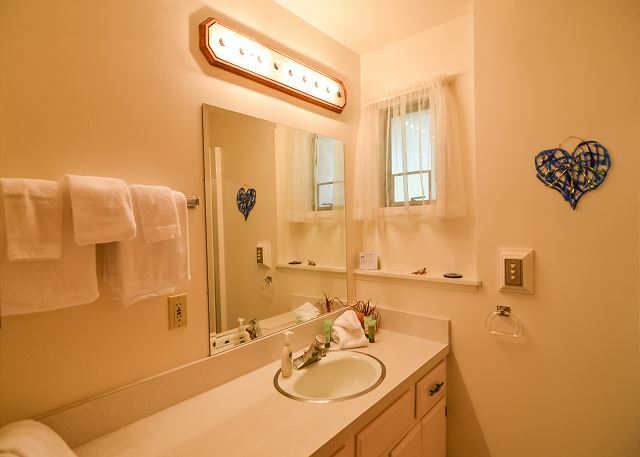 In addition, there is a convenient bathroom on the lower level that offers a shower. Ideal Island escape for multiple couples. Accommodations are first class and spacious— private spaces for couples, but group areas (kitchen and especially deck areas) are perfect for everyone to congregate. Morning coffee on the deck captures the calm we hoped for on this (and every) San Juan islands escape. Beverly and Steve are great hosts. This house was in a great location for our family reunion. We could walk to restaurants in Roche Harbor. There was even a small view of the boats below. We would stay here again. We loved the location and quiet of the house. Lovely view of marina.. It is well equipped and comfortable. The decks are in need of some care and the short stairway to the house needs to be better marked to prevent a fall. The house was fine. It had all the basics- bedrooms, bathrooms, and kitchen. The kids loved the pool table and piano. The entire house was just a bit dated. From the carpets to the furniture, everything just had a very ‘old’ feel to it. We were staying with friends on their boats during the day, just sleeping at this home. 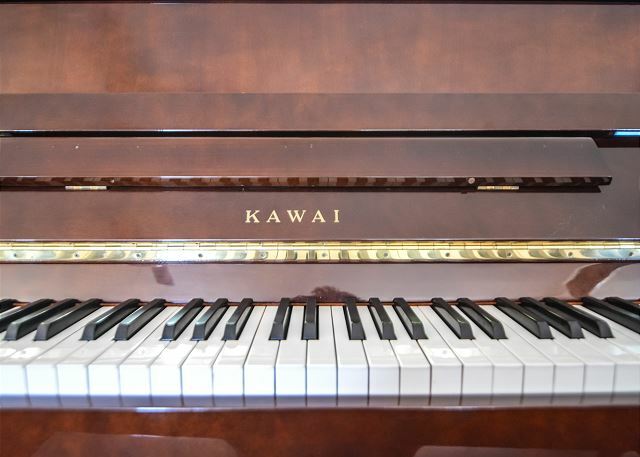 It was really nice that it was on the trail to the tennis courts, swimming, field, and an easy & safe walk to the docks.The piano and pool table are a nice touch for extra entertainment. It had been about 10 years since we rented this house the last time. The house is just right for our family. 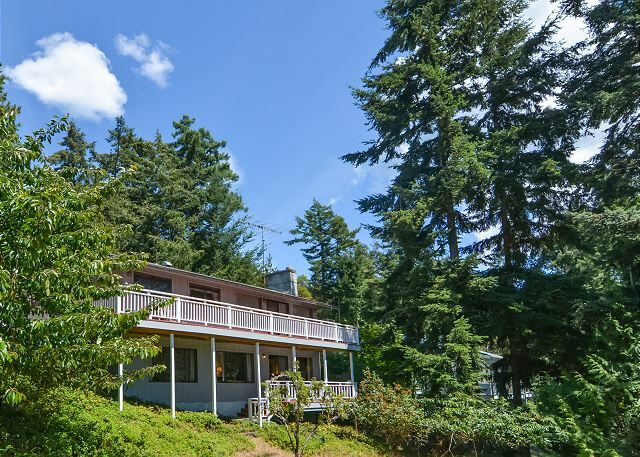 It is in a great location-just the right distance from Roche Harbor. This house needs an upstairs TV and the downstairs bathroom needs a new commode. Property management extremely helpful. The location near the marina in Roche Harbor was fabulous. The view was spectacular. My only complaint is about the downstairs. The TV was downstairs as was the second bathroom and the two nice bedrooms were upstairs with a bath in between. We were looking for a home with 2 BR and 2 BA which this was but it meant one of us had to use the bathroom downstairs. Downstairs did not smell like mothballs but it smelled like something slightly unpleasant. The carpet is '70s. It would have been nice to have a longer couch upstairs in the main part of the house along with a TV. It would also be nice to have a table outside, maybe even a bistro set with chairs and a small table or two. We wanted to eat every meal on the deck but all they had were gravity chairs which aren't that easy to eat out of. The view and location was worth everything but some small changes would make it slightly more comfortable and practical. Very nice - especially the efforts put in to getting us something that we accidently left behind! Appreciate the customer service! The location of this rental is great, and the view to the marina and the activity was very nice. Overall the property itself was comfortable for our 10 day stay. The downside...the carpets in the house desperately need to be replaced. Downstairs smells old and musty. Upstairs was pleasant, but needs to be updated. Recommendation do away with old flower arrangements and plants in the upstairs living room. Great location. Just a short walk to the resort. View from deck was perfect. This house was perfect for our family: two young children, two grandparents, two parents and two aunts. We all had a place to sleep and plenty of room to not trip on each other. We lucked out with the weather, but even if it had rained, we would have had a covered porch to sit on and games to play. The view was lovely, though we didn't spend much time in Roche Harbor, the whole island isn't that big, so it's not far from anything. The company was lovely and easy to work with. The view from the deck was beautiful and plenty of chairs for us all to enjoy. And an easy walk to Roche Harbor. Living space was comfortable and an easy kitchen to fix meals.Good hot showers but you had to keep them short and allow time for the hot water tank to fill up. I would happily stay there again. We loved the location of this rental. Great views of Roche Harbor and hearing the colors ceremony every night was a great memory. The house is easy walking distance to Roche Harbor village, and the access to the community beach was great for launching kayaks or just watching the amazing sunsets. There is so much to do on San Juan (sea kayaking, boating, golfing, cycling etc) that we didn't leave enough time for just relaxing on the deck. The house itself is well stocked and had everything we needed. The decor is a little dated but very comfortable. We had a couple maintenance issues but the property manager was very good about resolving them quickly. We got pretty much what we expected and felt like it was a great value for the price. The view from this property is excellent. 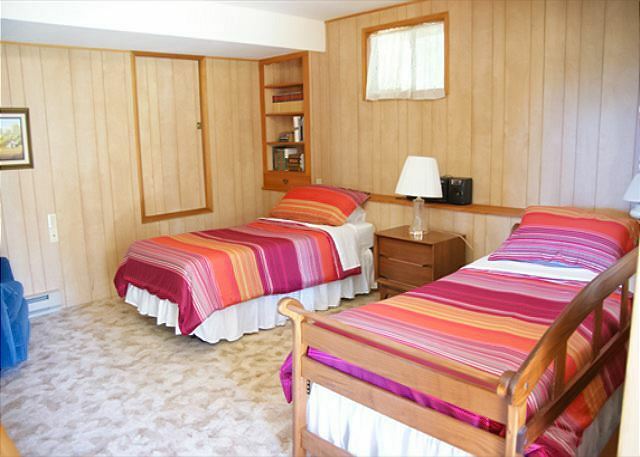 The decor is very dated, but you're here for the view, and the amenities of Roche Harbor. I'll definitely bring my family back here. Thanks so much! The location is incredible. The house is older and needs upgrades. The downstairs is musty and mildew smelling - causing our kids who slept there to cough. Hole in back yard that goes through to drain field needs to be fixed. Our 5 year old grandson stepped into it and scraped his leg and lost his crock. We left other notes at the house when we left. Pool table is fun. Our 11 year old granddaughter got very good at it. Marvelous view, close to Roche Harbor. My wife and our 6 year old son and 4 year old son really enjoyed ourselves at this home. 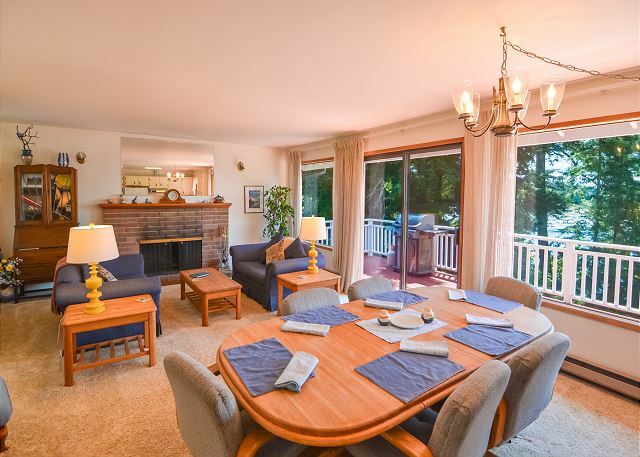 Very cozy, great location to the harbor (easy walking distance) and one of the only unobstructed views of the Harbor on Afterglow Dr. We will definitely be coming back again in the near future. Glad to hear you enjoyed your stay! We hope to see you again soon. House was in good condition. We had a great time. We love this place and can't wait to get married there next year! We had a great time at the home. Home was clean, safe for the children and close to Roche Harbor. Very good. Older house but clean. Our stay at the house. We would love to rent this property again. It was so close to Roche harbor that our kids could walk there by themselves. The setting and location are excellent. Our only issue was that the kitchen is sparsely stocked. In the future we will bring more items with us for cooking. There were not enough forks. The cutting knives were in poor condition, there was no glass baking dishes, nor any proper roasting pans and there were very few bowls and dinner plates. Lastly, downstairs bedroom could use another comforter and blanket as it was quite chilly. . Other than this, we greatly enjoyed our stay. The house was clean and comfortable. We loved seeing deer at night in the yard. We marveled at the close proximity to the harbor. . Thank you! 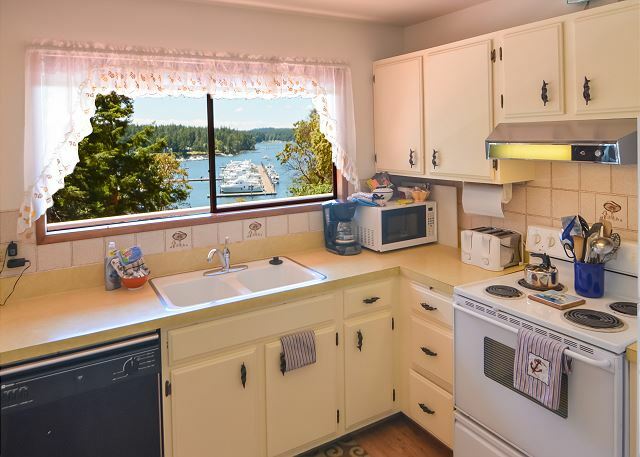 Washing dishes in this kitchen is a delight with a gorgeous, bright view of the Roche Harbor docks. New WiFi and an updated first floor bathroom were welcome upgrades. 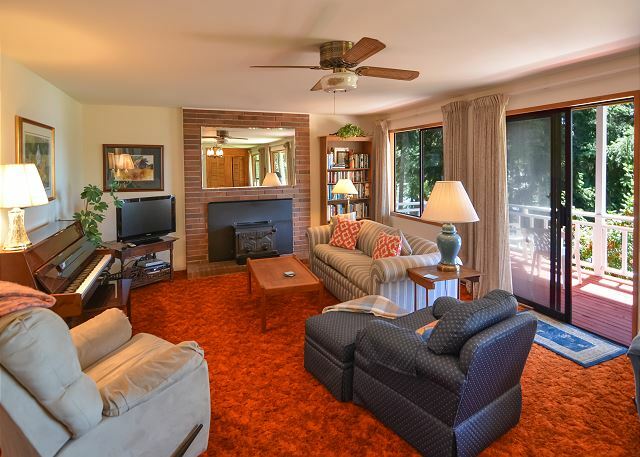 Still dated carpeting and furnishings, and not enough wine glasses, but the location of this property, within walking distance of Roche Harbor Resort, is what keeps our family of 4 returning so frequently since 2004. Will definitely stay here again. Grea location, property a bit dated, but good value. Good overall. Delightful place to stay. I agree with other comments about lack of paper products, musty smell downstairs, etc. Pull out bed is very uncomfortable, infact all beds could use an upgrade! All that said, the location and view are worth it. Furnishings and bedding need updating,replacing. Linens and bedding in poor condition. 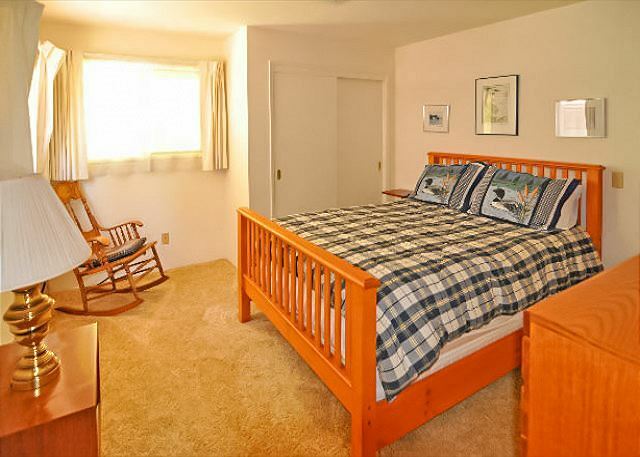 We loved the location with access to Roche Harbor and it's facilities just a short walk away. However, there are some improvements the owner could make: there weren't enough paper products for 7 people for a week including, TP, paper towels, coffee filters. There wasn't enough silverware for 8 nor chairs for dining. The furniture on the deck was not in good shape with splits in the plastic which we taped up. Plus, the owners may want to check the septic system as there was an odor periodically that drifted up to the deck. 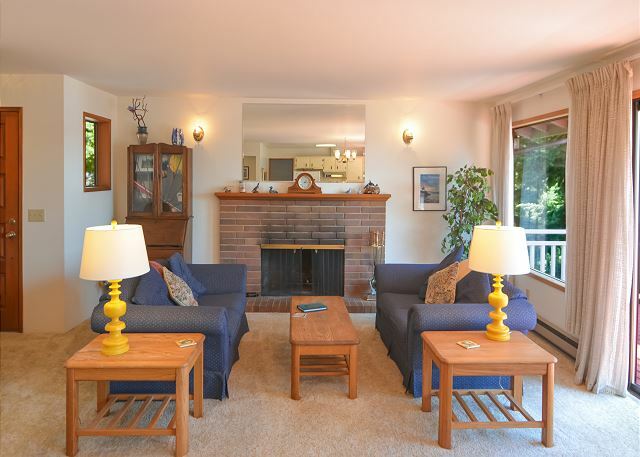 Pros: really wonderful location - walking distance to Roche Harbor. Cons: one shower is not enough for eight guests! good roomy house for a large family. still needs to have a shower in the upstairs bathroom, baths waste a lot of island water. Over all, we had a great time as we have had the previous four summers of renting with Windermere. YIPPEE! GUESTS IN PEAK SEASON 2012 WILL HAVE USE OF THE NEW SHOWER BEING ADDED IN THE UPPER BATHROOM. 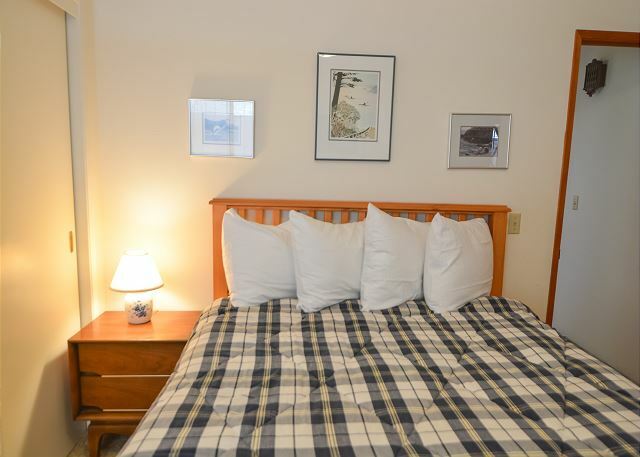 Great location, just a short walk from the Roche Harbor resort village, with a nice view of the marina/harbor. The house is set up so the living areas all take advantage of the view. Our family of 5 had plenty of room. Piano (basically in tune) and pool table (all balls and cue sticks in order) were both usable. Areas for improvement: Provide extra roll of paper towels and a few more wine glasses. Bed in the interior upstairs bedroom was rather uncomfortable. Missing remote DVD player remote. We recently returned from Roche Harbor where we stayed at Roche Harbor Heights #22. We thoroughly enjoyed our stay. The view from #22 was beautiful and the location was excellent. It was close to all the amenities and relaxing on the deck, listening to colors and enjoying the sunset was the perfect end to the day. 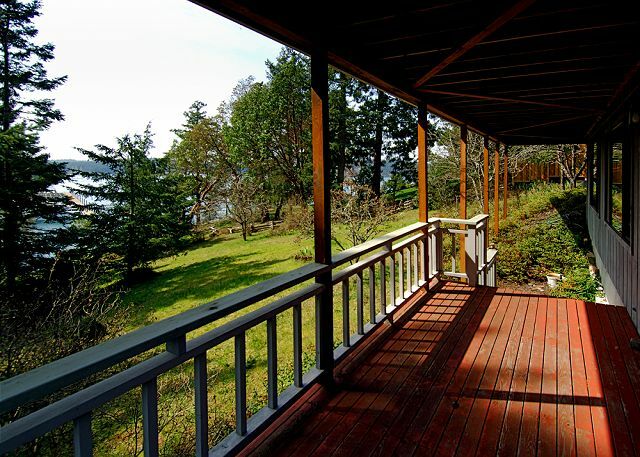 We highly recommend this property and look forward to our next vacation in Roche Harbor. The location was perfect and the house was kid-friendly with lots of space. This unit is in an excellent location with a beautiful view of Roche Harbor. All ammenities are within walking distance and, other than some minor construction noise from nearby residences, was a peaceful retreat for our family vacation. We had 7 people total and there was plenty of room, the kitchen worked out great and the laundry room was a plus. 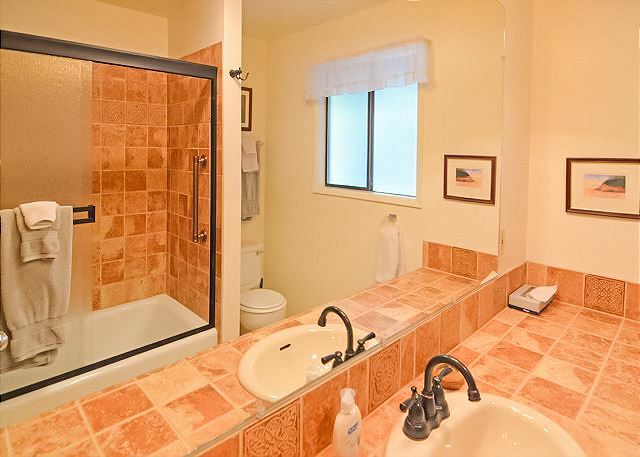 One note of caution - we considered it a gross misrepresentation to state the property has two full baths. There is, in fact, only one shower located downstairs. At this price point, you shouldn't have to resort to bathing with a bucket to minimize the line for the only shower. Thank you very much for bringing the lack of two showers to our attention. We incorrectly assumed the tub upstairs included a shower.